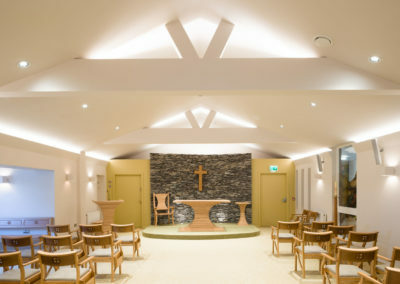 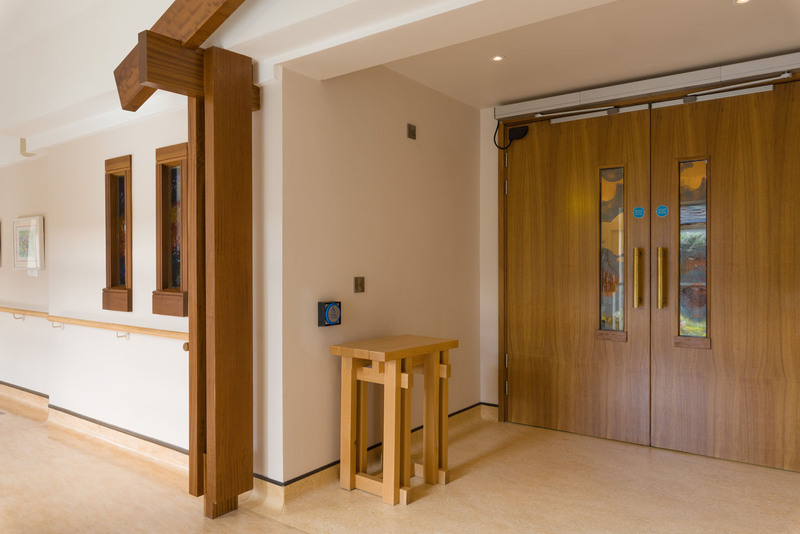 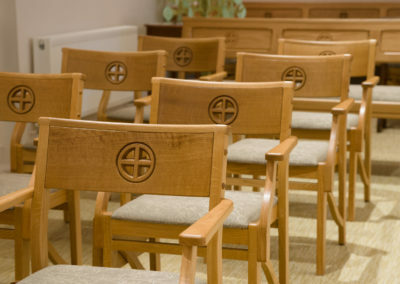 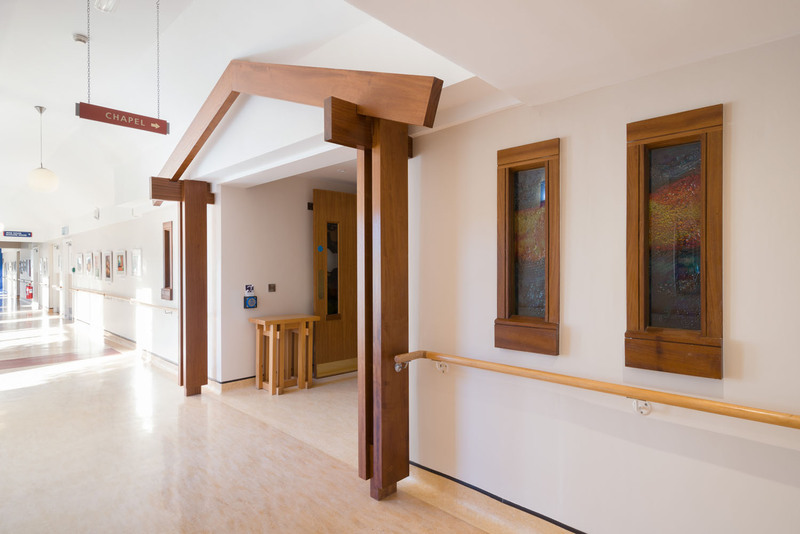 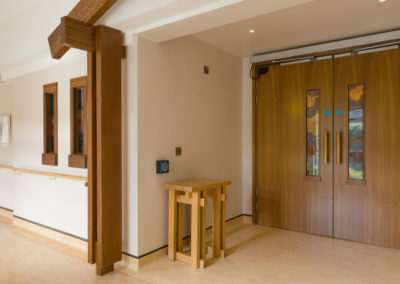 St. Lukes Home elected to redesign the existing chapel within the nursing home due to poor orientation, the general feel of the space and to meet the latest fire regulations. 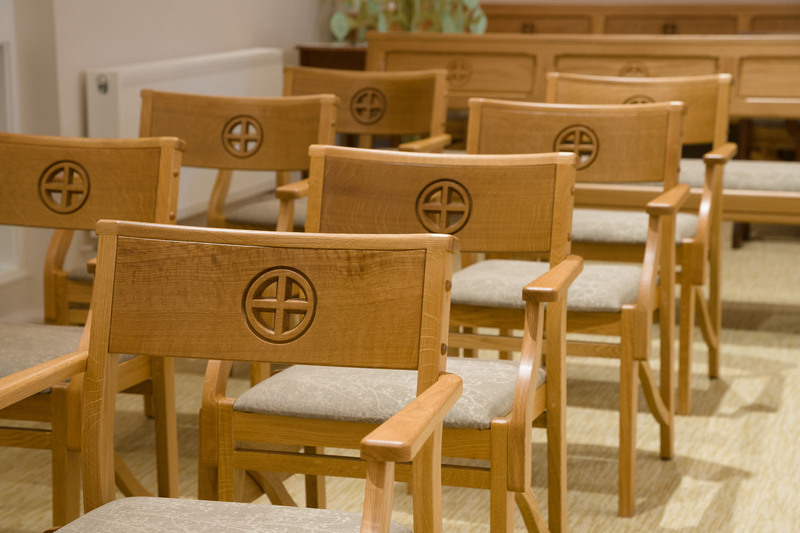 We took the clients brief and held a series of design meetings with all those involved. 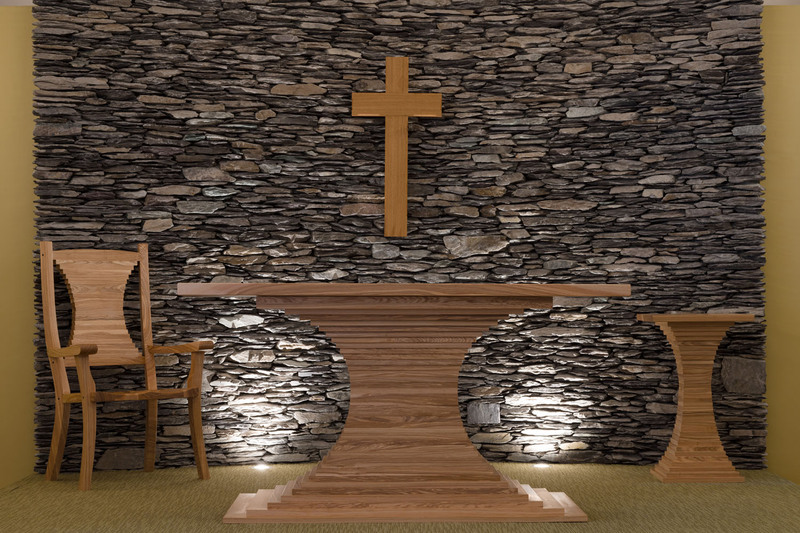 Integrating some existing stained glass into the proposal, we agreed a concept that reflected nature and earthly materials. 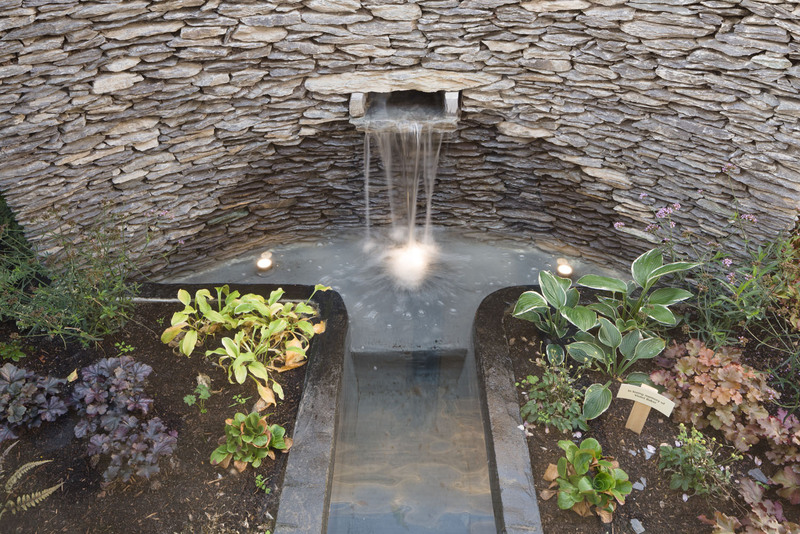 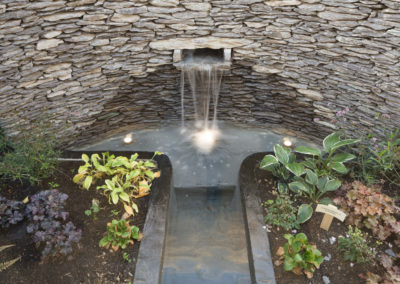 This was brought through in the palette of materials chosen, stone, wood & water. 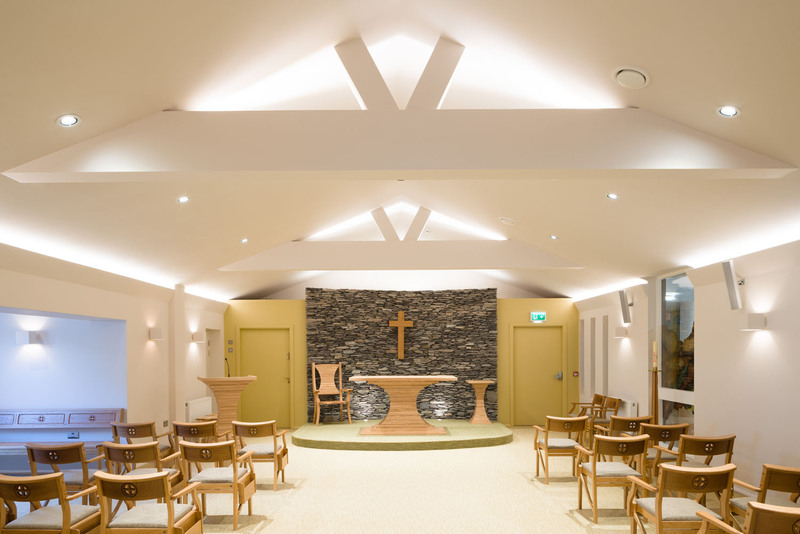 The simple arrangement of the space, colours and lighting were all reduced to reinforce the concept with the final space being uplifting yet unpretentious. 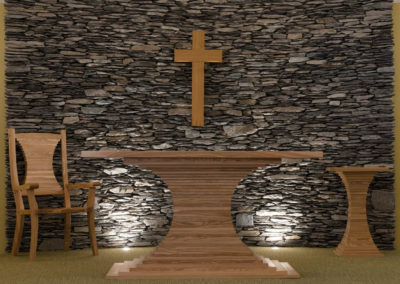 It is a welcoming space for prayer and reflection. Main Contractor Daytona Contractors Ltd.